Campbell's Flowers: Helen and James, Whitley Hall - Spring sprigs and sensational scents. 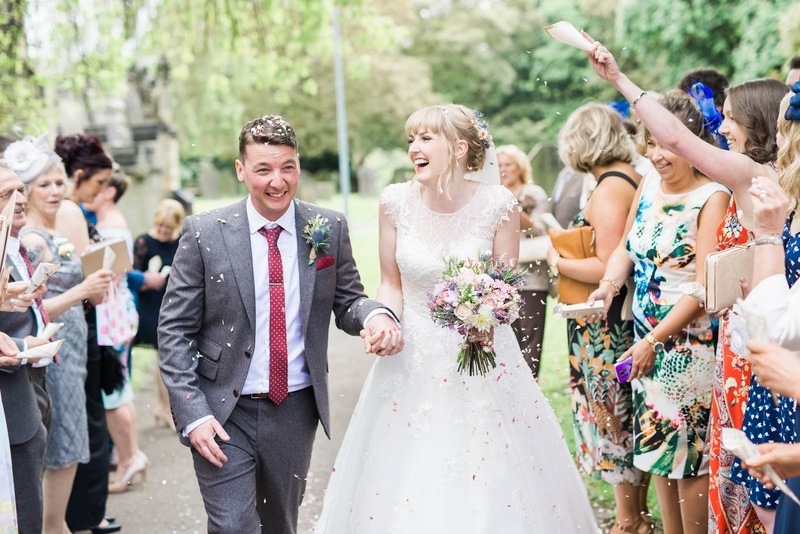 Today I am bringing you a super spring wedding from May this year. 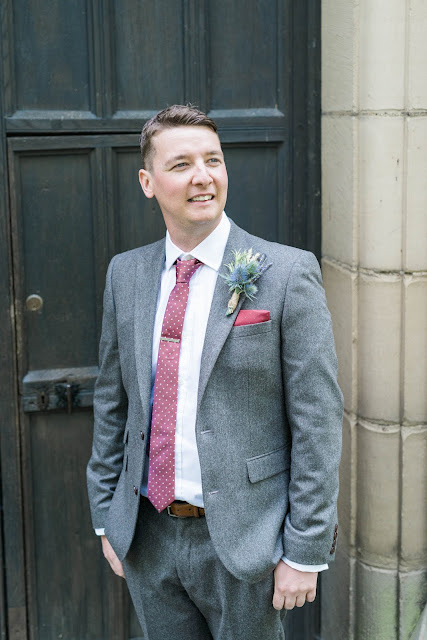 Helen and James got married at Darfield Church then straight onto Whitley Hall which is becoming quite a familiar venue to us now, which we love. Helen was actually brought to us by her sister Katy who's wedding we designed for last year. Katy was one of the bridesmaids too. We just love it when we get recommended by other brides but it's even more special when we get to design for someone else within the family, so thanks ladies. 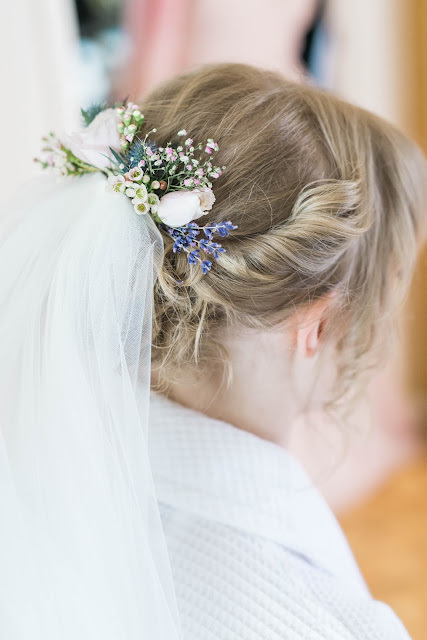 Helen wanted a wild rustic feel to the flowers with a 'just picked' vibe. 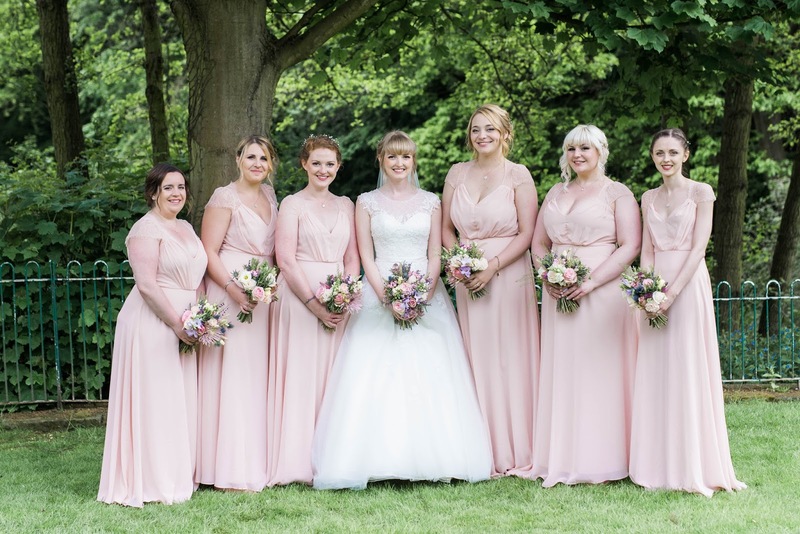 The colour pallet was blush, cream and pale pink with a touch of lilac. T designed something which wasn't too compact with a touch of softness to it. 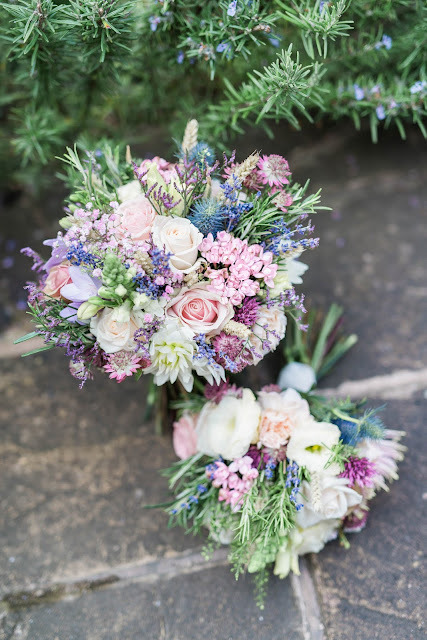 The flowers chosen were Yorkshire lavender (keeping it local), wheat, green bell, pink gypsophila, 'Jana' spray roses, cream double lisianthus, 'vendella' roses, 'Sweet Avalanche' roses, lilac limonium, rosemary, astrantis 'Roma', raspberry veronica and blue thistles. From these ingredients we were also able to provide hair flowers as seen in the pictures below. 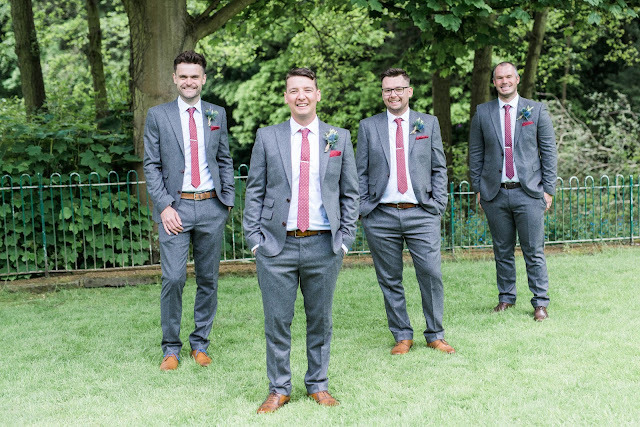 The bridesmaids had a similar design to the brides but slightly smaller. James wore a sprig design buttonhole with plenty of rosemary, lavender and wheat. It smelt divine! Massive thanks to Laura Calderwood for the fantastic photographs. Kind words from a gorgeous bride!